Some of the links below are affiliate links. 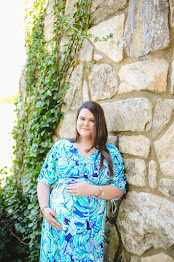 Thank you for supporting Southern & Style by using these links at no additional cost to you! Since the past few days have been a whirlwind at our place, I decided to gift y'all with something a little different instead of the same-old #TenOnTuesday post. Every year I have the hardest time finding things for the men in my life. They have everything they need, they buy most of what they want, and most of them don't have any real "hobbies". So here's a list for the hard to buy for guys in your life. This could be your brother, your significant other, your dad, or even your grandfather-any guy that's just not easy to shop for! I really highly recommend gifting any Yeti products; their cups and such are excellent quality. The colster is a new one to me this year; it's used almost like a koozie, but it keeps your drinks ice-cold. It's also priced really well right now & if you order today, I bet it will be here by Christmas! I have the FitBit Alta HR and I love it, but I think for a more masculine approach the Charge 2 is the better buy. This thing calculates your steps, tracks your sleep, and checks your heart-rate. It also tracks your workouts if that's what you're looking for! This gift is perfect for the guy that likes his black coffee in the morning & dark whiskey in the evenings. It's 100% Arabica ground coffee with actual Jack Daniel's whiskey flavoring. I just think this is a super unique gift! This is great for the guy in your life with a dark sense of humor! I absolutely love this game and playing with your friends is so much fun and so hilarious-highly recommend. These Patagonia vests are so soft and comfortable, plus the olive green is a great interesting neutral that will go with a lot of things. There are tons of cities available for this glass; Nashville, Boston, Denver, New York, Houston, Atlanta, New Orleans, etc. This is a great gift for someone who is maybe moving to a new place or living far away from home-or maybe just for the person who likes to travel! This is such a cool gift for a sports lover without being too "sporty". It comes in a ton of universities like Auburn, University of Kentucky, Texas A&M, Georgia Tech, and more! These leather slippers are lined in shearling and have bottoms that are weather proof-making them perfect to go check the mail, let the dogs outside, or any other short trips you must make outside. I think these would be ideal as a Christmas gift because during the winter you need something to warm your tootsies & these definitely still look masculine. Over the past few years my husband has become a sunglass snob-but that's okay because Costa is an awesome brand that really protects your eyes from the dangerous rays. He has two of these exact pair & they have held up so, so well over the past few years even after being taken to the beach, to the lake, and being used daily while working. They are a slight investment, but if you're wanting to spend just a little more on someone, these make an awesome gift. A portable phone charger is something everyone can benefit from having, in my opinion. It's great for long car rides, long days at work, or just to have on hand any time your phone is running low on juice. This one fits in the palm of your hand & has an indicator to show how much power is left in it. Have you finished up all of your Christmas shopping yet?! I just finished mine yesterday & now I need to get started on wrapping everything! 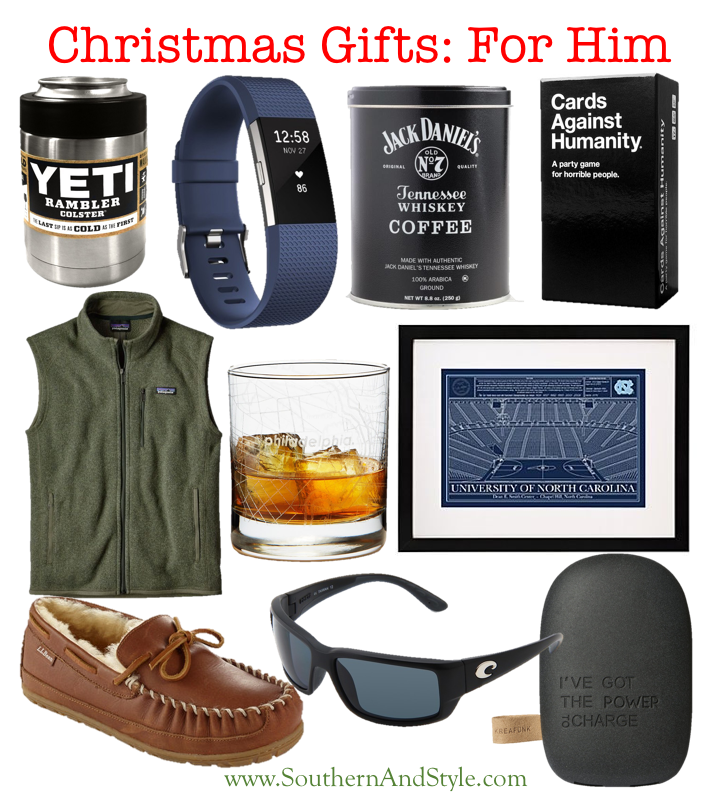 Let me know below what you got for the men in your life! Why are men so hard to buy for?! I think any of your picks would be a safe bet! Lol, I agree with Kristin above! Men can be so difficult to shop for, especially if you are on a budget. Cards Against Humanity is all the yesss haha such a terrible, funny game lol!